1. 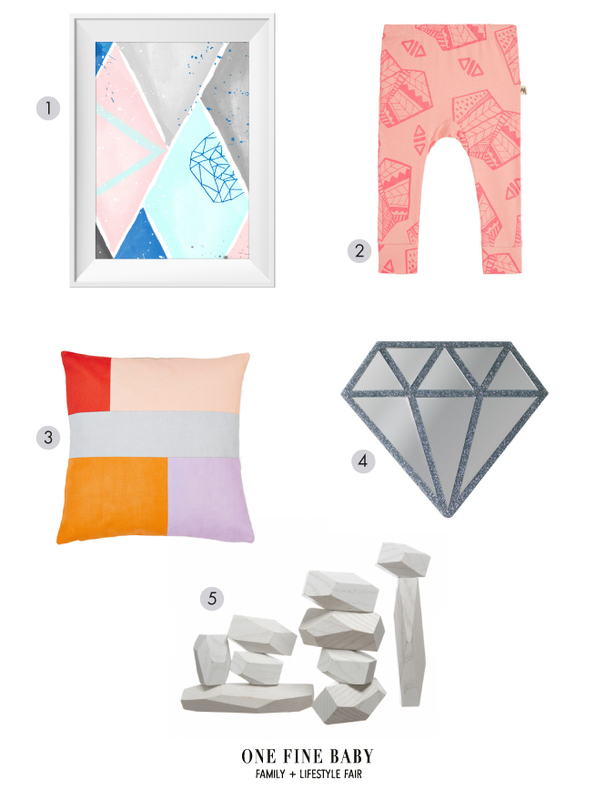 Concrete Diamond Print from Toucan. 2. Playtime Peach Leggings from Milk & Masuki. 3. Patch Cushion from Aura Home. 4. Diamond Mirror from Nest Accessories. 5. Areaware Balancing Blocks from Shop Until.